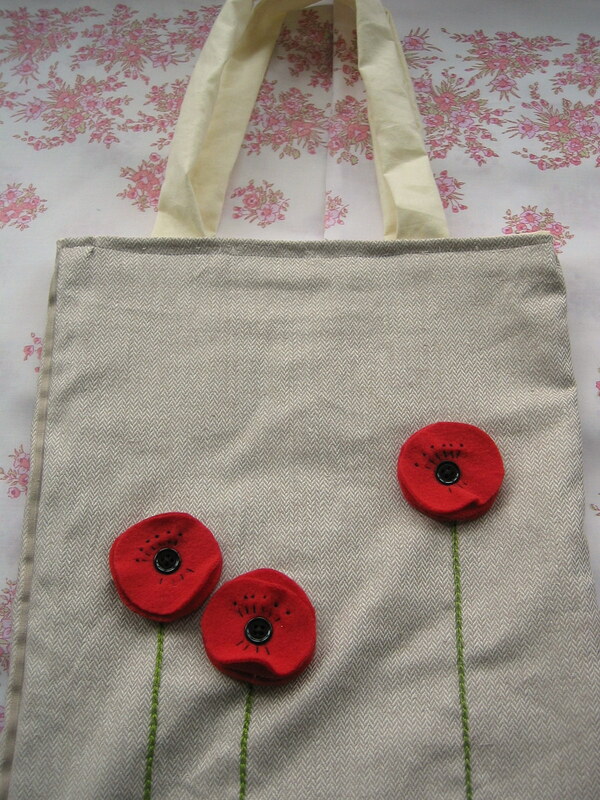 A close up of the flowers on Bag One. A close up of the flowers on Bag Two. 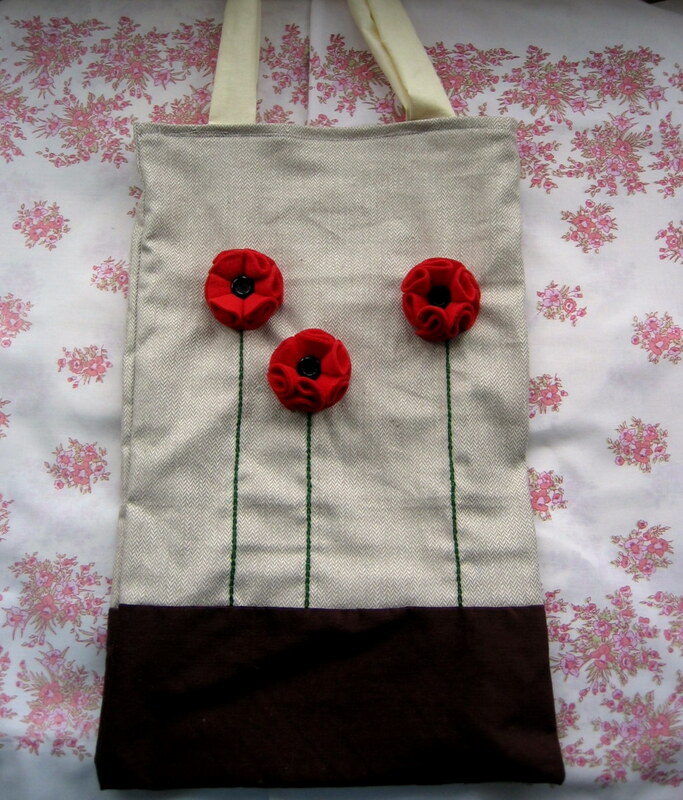 I used brown Corduroy for the bottom of the bag and a textured fabric for the background of the Poppies (I felt that a solid colour would be too harsh). 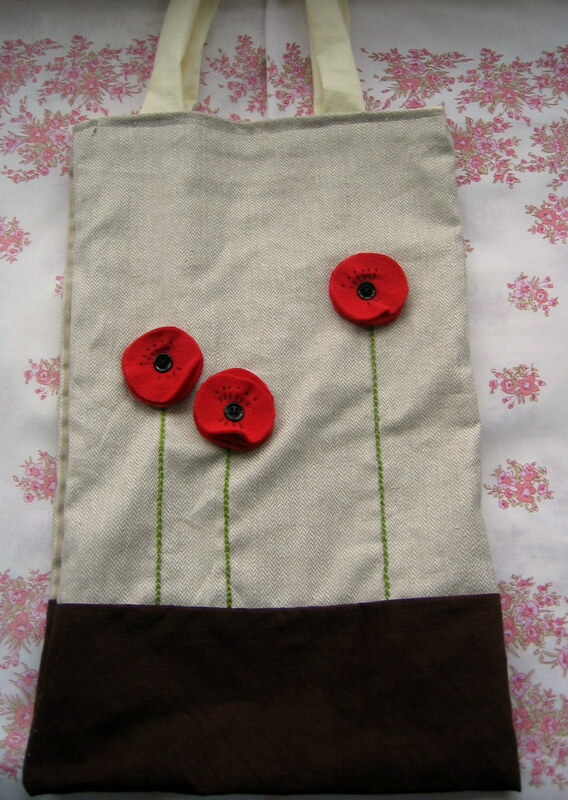 I then made the Poppies, secured them in place, then stitched the stems. 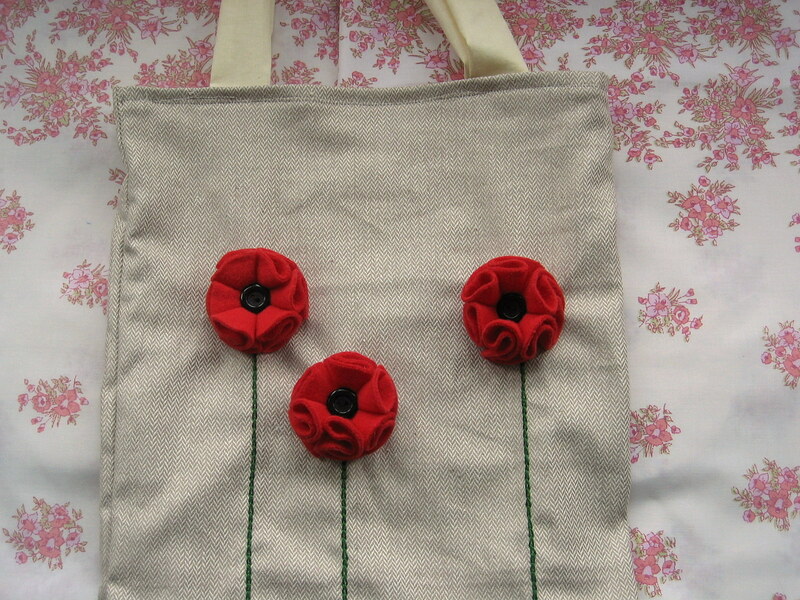 Sometime this week, I’ll do a quick tutorial on how I made the two types of Poppies. All you need is some red felt; a black button and some black embroidery thread. Watch this space! ps. anyone who has read my blog before might notice that I have had a spring clean and given my blog a new look. I hope you like it. I’m really glad you feel inspired 🙂 It’s a lot of fun and I’m all for re-vamping an old bag!